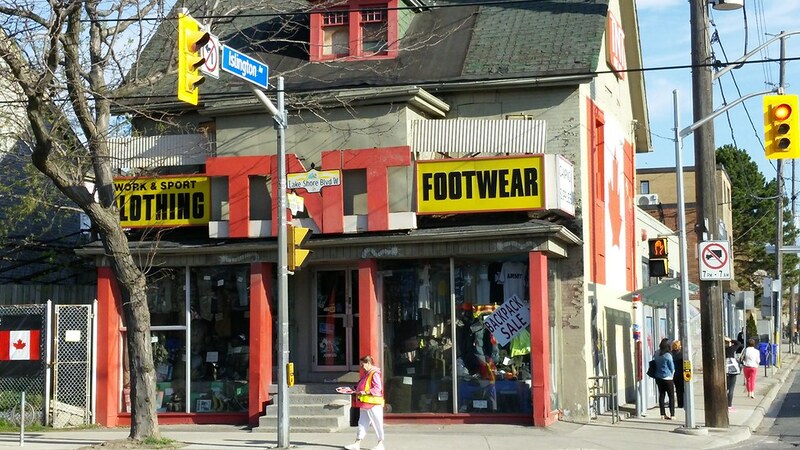 One southwest Toronto store seems to defy the laws of economics and still stands at the corner of Lake Shore Blvd W. and Islington Ave. TNT Surplus has been there selling military surplus, camping and safety workwear since 1957, when Islington at Lake Shore was still known as Seventh Street. I remember biking to TNT with my buddy Ed back in 1990 so he could pick up a pair of boots. He loved army surplus stores, and TNT was one of his favourites. It's amazing it still stands today. If I had placed a bet at an online casino canada, I'd have lost. 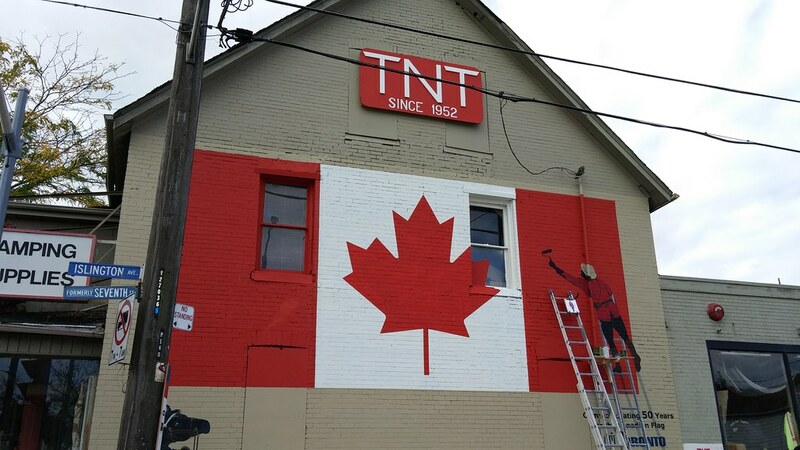 Recently, the city painted a new mural on the side of TNT to celebrate the flag of Canada's 50th birthday. 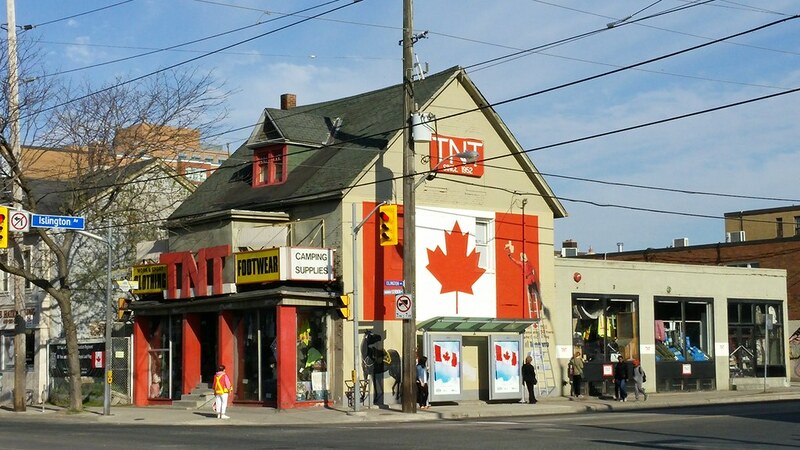 The old mural was just "TNT" but this new one is a wonderful honkin' slice of Canadiana. I see it every day and dig it the most. I don't know how TNT stays open, but I'm glad it does. Sometimes I take the kids in there just to look around. It's like a museum, defying all odds, frozen in time. i remember when i was around 6 (circa 1971) - i didnt live in the city (like i do now) but my granny lived on treeview. she took me down there to get a compass for brownies - that place looked so old even back then. my husband goes in occasionally - and even bought ...... a compass! last year. Purchased a couple of Danier leather jackets over the years, sad to see another Canadian retailer close shop. Surplus stores are great places to shop especially for outdoor stuff. I'll take Forces clothing for the outdoors over that "North Face" stuff anytime. Unfortunately, rising rents have meant rising costs for a lot of of their merchandise.